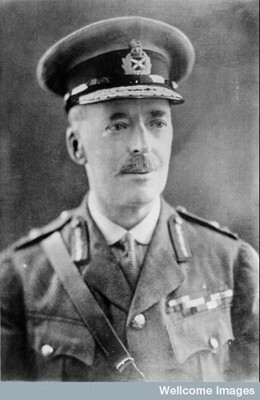 William Boog Leishman served for the whole of his Army Medical career in India and later at the Army Medical School at Netley in Hampshire where, using a modification of Romonowky’s stain, now known as Leishman’s stain, he discovered Leishmania donovani the causative agent of kala azar one of the early terms used to describe visceral leishmaniasis. 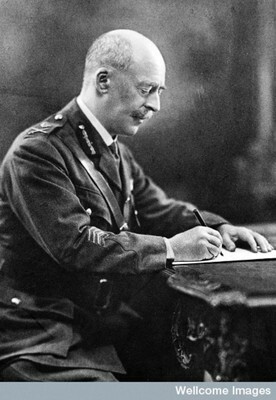 It was three years before Leishman published his findings and in the meantime Charles Donovan, serving in the Indian Medical Service, had independently found the same parasite. Their two names are commemorated in the common name for the parasites, Leishman-Donovan (LD) bodies. The leishmaniases are a family of diseases that are prevalent throughout much of the tropics and sub-tropics, some 88 countries harbouring the causative Leishmania parasites with 350 million people at risk. Around 1.5 million people contract cutaneous disease each year and half a million or so get the visceral disease. Over 90% of the world’s cases are in India, Bangladesh, Nepal, Sudan and Brazil. The disease has also emerged as a considerable problem in Southern Europe associated with the HIV/ AIDS epidemic. C. (1903). Brit. med. J., 2, 79. 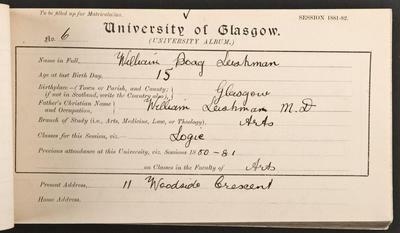 Leishman, W. B. (1903) British Medical Journal 1, 1252; 2, 1376. Leishman, W. B. (1903) British Medical Journal. 1: 1252; 2: 1376. World Changing Project, "Discovering of cause of Leishmaniasis," in University of Glasgow World Changing (University of Glasgow, 2010); http://www.worldchanging.glasgow.ac.uk/article/?id=76 (accessed April 26, 2019). World Changing Project. "Discovering of cause of Leishmaniasis." In University of Glasgow World Changing. University of Glasgow, 2010. http://www.worldchanging.glasgow.ac.uk/article/?id=76 (accessed April 26, 2019). World Changing Project. "Discovering of cause of Leishmaniasis." University of Glasgow World Changing. University of Glasgow, 2010. 26 April 2019 <http://www.worldchanging.glasgow.ac.uk/article/?id=76>.